Spanning the tumultuous war years, The Lion in the Lei Shop deftly recaptures a dramatic chapter of American history, giving a rarely-heard voice to the women and children of Pearl Harbor. Marty Langsmith is only five years old when a strange thunder rolls across the Hawaiian sky and life as she knows it explodes into flames. With her mother, April, and hundreds of other women and children, Marty is evacuated from the ruins of Pearl Harbor and sent into a brave new world overshadowed by uncertainty and grief. Feeling abandoned by her deployed Army officer father in the wake of the attack, Marty is haunted by nightmares of the lion in the lei shop, a creature that's said to devour happy children. But as the years pass, mother and daughter slowly begin to embrace their new life and make peace with the pain of the past. Spanning the tumultuous war years, The Lion in the Lei Shop deftly recaptures a dramatic chapter of American history. Originally published in 1970 and reissued for a new generation of readers as part of renowned librarian Nancy Pearl's Book Lust Rediscoveries series, this lyrical novel gives a rarely heard voice to the women and children of Pearl Harbor. "I don't want to hear about my father!" I said. "I don't want to hear about him! I DON'T WANT TO HEAR ABOUT HIM!" I was shouting at my mother. We were sitting by the swimming pool in the spring sunset, and everything about the evening had been relaxed and pleasant until my mother mentioned my father. "You're getting to look like him," she said as I pulled up my skirt to keep it from getting wet. "Your hair is turning dark and so are your eyes." She watched me splashing my feet in the pool. "You sit like him, too," she added. That's when I did the shouting. It surprised both of us. Mother stubbed out her cigarette in the ashtray on her chair arm. She twisted it round and round and round, long after the red coal blackened and fell apart. As those who bore witness to Pearl Harbor die off, a book like The Lion in the Lei Shop becomes even more important. 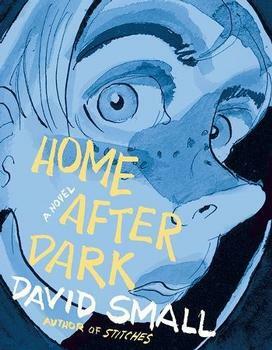 It has fortuitously been reissued so that the memories of this time will not be lost. Beautifully written, it elucidates the tragic effects of the attack on a mother and her young child, and its future repercussions on them both (Reviewed by BookBrowse First Impression Reviewers). 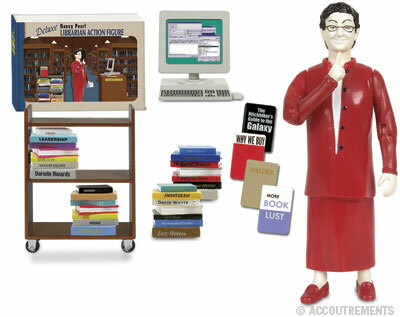 Nancy Pearl has a librarian action figure created in her likeness. You know she must be a dynamic, popular person with that kind of claim to fame! Moving deftly from a Japanese POW camp to contemporary Australia, this savagely beautiful novel tells a story of love, death, and family, exploring the many forms of good and evil, war and truth, guilt and transcendence.